The GLOCK brand has become one of the more popular names in modern firearms. Although, a relative newcomer in comparison to many other firearm manufacturers, they have experienced rapid growth in the global marketplace, and more specifically within the United States over the last few decades. Even those that are not familiar with handguns or have no interest in firearms at all, probably recognize the name GLOCK as a gun maker. This could partially be attributed to those folks at GLOCK that were in charge of U.S. based sales. They were able to quickly establish their credibility here by offering deep discounts which helped get their guns into the hands of Police Officers. 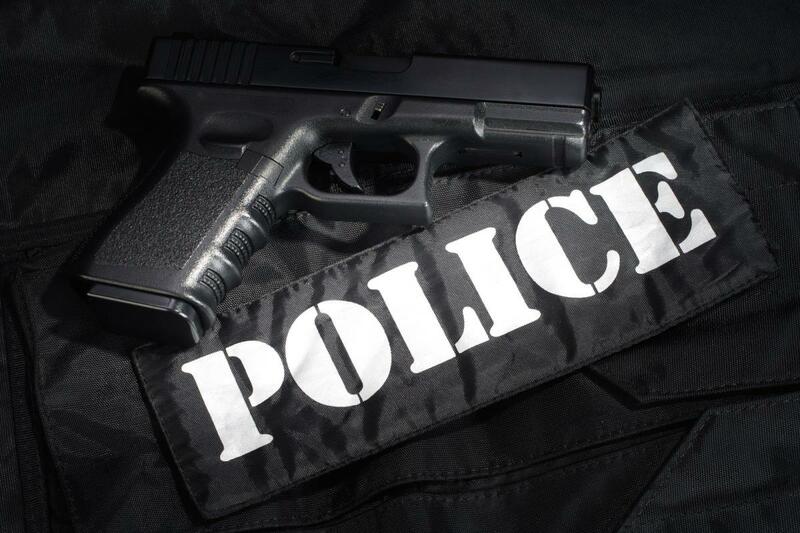 Currently about 65% of U.S. Law Enforcement agencies carry, or can opt to carry GLOCK pistols. However, like so many other firearms over the last century, GLOCK also owes a bit of their success to American pop culture, but we will come back to that later. Let's first take a look at where it all began for this Austrian gun company. Gaston Glock started his manufacturing business back in 1963. In the beginning, his company employed just three people and specialized in injection-molded polymers and various metal components. Their primary business was producing domestic items; they built things like curtain rods, doorknobs and other household necessities. In the 1970’s the company expanded, and GLOCK began using their expertise in polymer to manufacture items for the Austrian Military. They made things such as training grenades and machine gun links, and they found success with a military field knife. GLOCK’s first field knife, the FM 78, was developed in collaboration with the Austrian Army. It was an ideal military knife that was perfect for throwing and hand to hand combat. Its handle and sheath were made of GLOCK-polymer and the metal was phosphate-treated, hardened steel. Later GLOCK developed a second field knife, the FM 81, which was very similar to the 78, but incorporated saw-teeth on the back of the blade for more of a survival aspect. Both knives are still in production and used by several militaries around the world. According to their website, the gun company GLOCK Ges.m.b.H was officially formed in 1981. Their first pistol, the GLOCK 17 came to be only after their founder, Gaston Glock accepted a formal invitation from the Austrian Military to submit a design for a new side arm. Glock had no previous experience in the firearm business. His expertise lied in manufacturing of synthetic polymers. The story that is often told is that his involvement in firearms was coincidental. He happened to become aware of the Austrian Military’s search for a sidearm at a dinner party with some high-ranking officers. It was this encounter that inspired him to give gun making a try. Although, before beginning his pursuit to build that first gun, he requested a copy of the requirements for the military pistol and began seeking the guidance of some of Europe’s leading firearm experts and designers. Armed with plenty of new-found knowledge, Glock spent the next several months working on a polymer frame design that would ultimately become the GLOCK 17. The gun was named as such because it was the company's 17th patent. The naming of all future GLOCK pistols was sequential. The use of polymer made Glock’s gun lightweight and he designed it using just half of the amount of parts allowed by the military requirements. To top it off, he managed to nearly double the recommended magazine capacity. The pistol was submitted to the Austrian trials alongside some of the biggest names in the industry. Browning, Beretta, SIG Sauer, and others had all sent pistols for testing, but the GLOCK came out on top and secured their first order. In 1982 the G17 was classified as the P80 (Pistole 80) by the Austrian military and police forces as it was officially adopted into service. Soon, word of this new lightweight polymer-framed pistol would spread around the globe. It passed testing to meet the NATO standards, and was soon issued to the Norwegian Armed Forces and then the Swedish Military. By 1986 the GLOCK pistol would find its way to the United States. GLOCK Ges.m.b.H formed its first subsidiary in Smyrna, Georgia to handle the U.S. market that same year. As mentioned earlier, they first targeted bulk buyers such as law enforcement, but American pop culture would aid them in becoming a household name. The late eighties and early nineties saw the rise of mainstream Hip Hop and its sub-genre of Gansta Rap music, and it seemed like every other song was giving the GLOCK pistol some free advertising. We did a search to determine just how many times this happened, and decided it was far more than we were willing to count. Some artist even took it a step farther and incorporated the firearm brand into their stage names. In 1990 the popular Die Hard movie franchise released their 2nd film. It featured Bruce Willis as the familiar tough guy cop John McClane. In one pivotal scene, McClane delivers a powerful, but completely fictional dialogue about GLOCK that would have consumers rushing out to buy their own. Willis’s character addresses a local police Sergeant after being reprimanded for having a shootout with some bad guys inside Dulles International Airport: “That punk pulled a GLOCK 7 on me. You know what that is? It’s a porcelain gun made in Germany. It doesn’t show up on your airport X-ray machines here, and it costs more than you make in a year.” Literally nothing in that statement was true, but that didn’t matter, it was an attention grabber for a lot of consumers. It sparked a level of interest in a handgun that hadn’t been seen since Dirty Harry introduced his Smith & Wesson revolver some twenty years earlier. Once people made their way into the store, it didn’t matter that the gun wasn’t porcelain, or made in Germany, or invisible to X-ray machines for that matter. It was innovative, affordable, and a lightweight plastic framed novelty that they still wanted to own! The GLOCK innovations have steadily continued throughout their short existence. The company has offered up many different models in six primary calibers and five frame sizes. In addition they have added sub-models for each, and updated configurations that are reintroduced as generational changes of the same base models. It seems confusing, and it is for anyone not familiar with these pistols. However, their method did allow them to offer a variety of options for shooters in a relatively short period of time. To help simplify an understanding of GLOCK models we did compile the following chart. It will not account for generation changes or sub-models, but may help understand how GLOCK models are classified. ** Please note: This chart is not all inclusive and does not account for any generation distinctions or sub-model variations. Glock Models G18, G25, & G28 are not sold to the public. Although, the popularity of these pistols swirled around an outlaw gangster lifestyle and the notoriety of being a plastic gun, which made it seem intriguing or even dangerous to some, Gaston Glock did actually take steps in his design to make his pistols safe to handle and shoot. Unlike most traditional pistols, the GLOCK does not have an external safety lever. Instead it has the GLOCK Safe Action ® System, which is a combination of three automatic and independently operated mechanical safety functions. The first is the trigger safety, which is a lever installed on the trigger that blocks rearward motion of the trigger unless both are fully depressed at the same time. Second is the firing pin safety, which remains engaged until the trigger is pulled rearward, which will cause the trigger bar to push the safety up to open the firing pin channel. Finally, the drop safety requires a full pull of the trigger in order for the trigger bar to lower down the safety ramp and release the firing pin. After firing the pistol, all three of these safety functions reengage. Another step that GLOCK has taken to assure safe handling of their pistols is their lineup of training guns. These are identified by the “T” designation after the model number. In 1996 they introduced the G17T, a pistol designed to fire non-lethal training ammunition. It was created specifically for law enforcement to train in the safe handling of their GLOCK service pistol without any chance of a dangerous mishap. Since its introduction, GLOCK has continued to develop other products that offer and promote smart and safe training practices. The popularity of GLOCK continues to flourish and this is clearly evident in the growing number of add-ons and aftermarket accessories that are becoming available. It is a bit reminiscent of the Ruger 10/22 or the Colt 1911 in this regard. When a firearm captures a large enough following, the customization market grows with it. We found sites offering custom barrels, grips, and any cosmetic feature that can be imagined. There are shoulder stocks that can attach to the GLOCK pistols, and we even came across several carbine conversion kits that can essentially turn these handguns into a battle ready rifle. With so many options available to gun enthusiast today, it is hard to say which firearm is right for each and every shooter. Some praise the GLOCK pistols, while others reject them. Handguns are no different than a good pump shotgun or long range bolt-action rifle, everyone has their own preference and will choose what works for them. It’s what makes us who we are, our unique tastes that define us as individuals. That is precisely why we are discussing GLOCK pistols in the first place, because they are unique. Not only in design, but also the way they revisit each model to make changes in an effort to accommodate their customers' needs and in their ongoing commitment to civilian and Law Enforcement training. So although these polymer-framed guns aren’t for everyone, they will certainly continue to appeal to many. GLOCK is not just a firearm and polymer product manufacturer. Their other books of business include aviation and private jet services, show horse breeding and training, health and dietary supplements, Eco-Energy heating and power supply systems, and an Austrian based firewood delivery service.